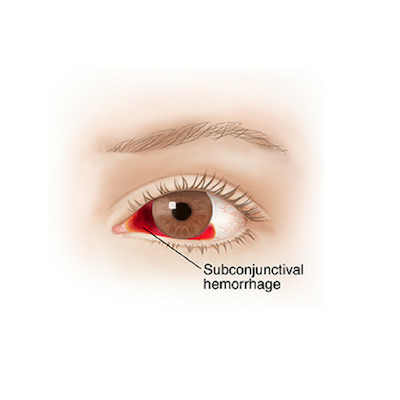 While subconjuctival hemorrhages do not result in pain or loss of vision, the unsightly appearance often prompts sufferers to seek out treatment. While no treatment is available to heal the rupture that causes the redness, eye drops can be used as artificial lubricants to soothe the eyes. Rubbing and touching the eyes can contribute to the problem and extend the healing time. Typically subconjuctival hemorrhages will heal within 2 weeks.